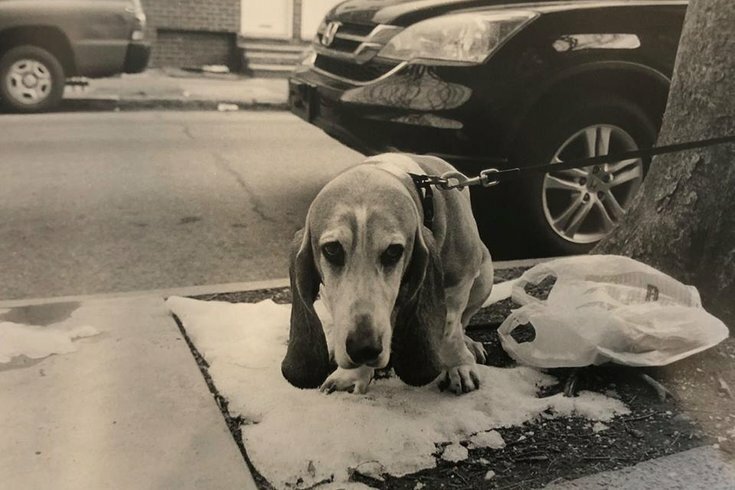 Passyunk Square resident Beth Dombkowski's gallery shows pets going No. 2. As friends and those familiar with my work know, I love a good poop story, whether it be scandalous or silly. 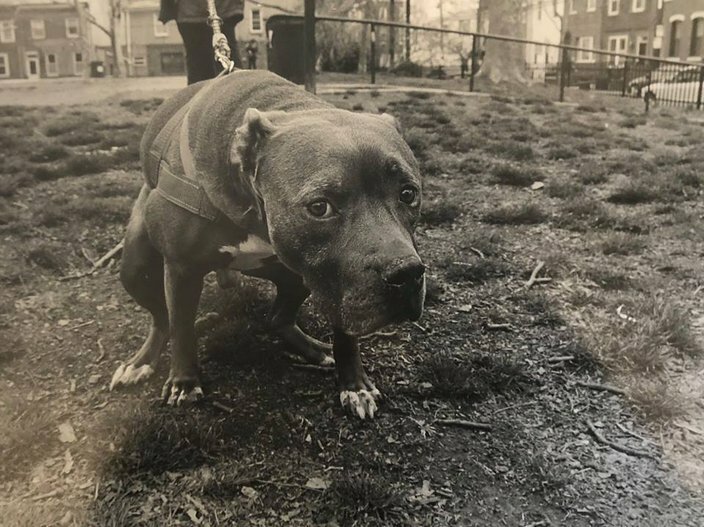 So, when I saw the event page for "Poopface: Dogs of Philadelphia," I immediately blocked off my calendar for the evening of Friday, June 8. The concept behind the series of photographs is simple: dog's faces, as they poo. "[I] always thought the faces they made when they pooped were so interesting. They look so vulnerable, and you’re catching them at what we would think is a private moment," the photographer, Beth Dombkowski, told PhillyVoice via Facebook messenger while on a flight to Hong Kong on Thursday to visit a friend. Dombkowski, a 15-year Passyunk Square resident who works in admissions at Rowan University, doesn't own any dogs of her own because she travels too much — hence the name of the gallery she owns on 13th Street near Wolf Street, Wanderlife Gallery, which will naturally play host to her show. She does foster dogs through PAWS, but those aren't the subject of her photographs. "I had one while I was doing this project, but he was so old and sickly that I didn’t think it was appropriate," Dombkowski said. "Poor guy was at the end of his life and needed privacy." All of the featured dogs belong to people she knows (with the exception of one dog she "randomly met" while shooting). She makes appointments with owners during their pets' regular pooping time to snap their expressions during the act of No. 2. Dombkowski stressed that this is not a digital project — all of the photos are shot on 35mm film and developed in the darkroom of her gallery. Dombkowski said she views her gallery as more of a "photo/printmaking/works on paper venue," but this will be her first show there. Buzz for "Poopface" has been palpable. More than 200 people have already expressed interest on Facebook. "I have had interest when I tell people what I’m working on – everyone poops so everyone can relate." Catering for the show will be provided by Dews Deli. For more info on the show, click here.